The underlying foundation of the Star Wars saga is defined by one single yet enormously important word: hope. Yet it’s often fear that propels the struggle to cling to hope, a hope running throughout almost every moment of Star Wars no matter how big or small. It’s fear that pushes Luke into self-imposed exile on Ahch-To, cutting himself off from the Force, after his failure to help Ben Solo, now Kylo Ren. It’s the fear of losing his mother that nudges Anakin Skywalker down his path of self-destruction, fear that stokes his desire for Padmé and, in the end, fear of losing Padmé that costs him the love of his life, unleashing a plague of darkness on an unsuspecting galaxy. 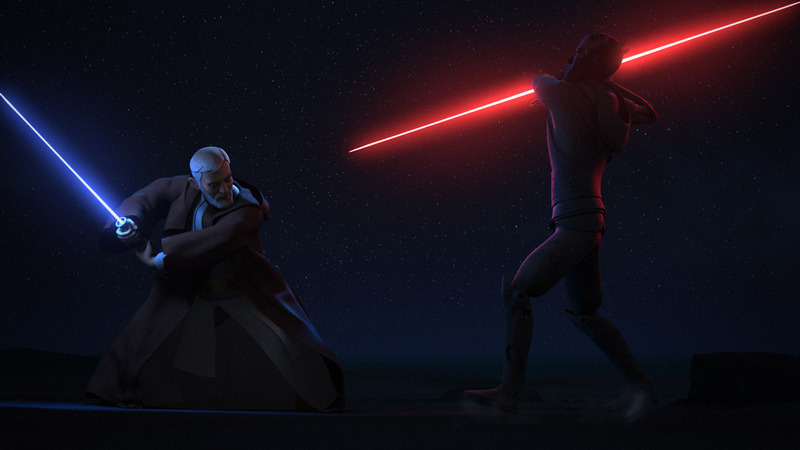 It’s fear of discovery that drives Caleb Dume to abandon his identity and adopt a new life and name, Kanan Jarrus, in the aftermath of Order 66. No matter how you define fear — be it the modern definition of an unpleasant emotional response to a perceived danger or the ancient and archaic mix of dread and reverence — it’s a living, breathing part of Star Wars, paramount to all other emotions within the saga save, perhaps, for hope. Fear, in the real world and the Star Wars universe, too, is immutable and immortal, a natural reaction in almost all living things to something they can’t understand, and an ever-present part of the Force, too. You can’t have Star Wars without fear. You can’t have tales of courage and valor or despair and dishonor, either. Owen Lars feared for Luke Skywalker were he to discover his true history and lineage. Beru Lars feared for Luke’s hopes for the future. Old Ben Kenobi, he wasn’t to be trusted, always getting in the way, putting the Lars family at risk with his scattered involvement. For Obi-Wan Kenobi, his greatest fear was losing Luke, failing in his mandate to keep him safely ensconced away from prying eyes, loose lips and the omnipresent malevolence of not just Darth Vader but Darth Sidious. That fear drove Kenobi to endure years of a solitary life, punctuated by brief yet startling confrontations with Tusken Raiders and, of course, a final showdown with Darth Maul. Fear is one of the strongest factors which propel the stories in Star Wars, no matter the era or the medium. Delilah S. Dawson, author of Star Wars: Phasma, showed how the fierce warrior made her way into the embrace of the First Order. Was it fear of losing that prestige and power and position that kept her motivated? In Rogue One: A Star Wars Story, Jyn Erso beats back her apathy and fear of involvement to join with Cassian Andor and his team to not just find her father, but to steal the Death Star plans. For those watching the films and television shows, for readers devouring page after page of novels and comics, playing the video games, the fear that our avatars within Star Wars experience is amplified, reflected even, upon us. Consider Luke’s brush with the dark side in the cave as shown in The Empire Strikes Back. Sitting in a darkened theater, surprised by the sudden appearance of Darth Vader only to see Luke’s face within the cracked-open helmet, the image jarred audiences in 1980 and continues to shock in 2018. 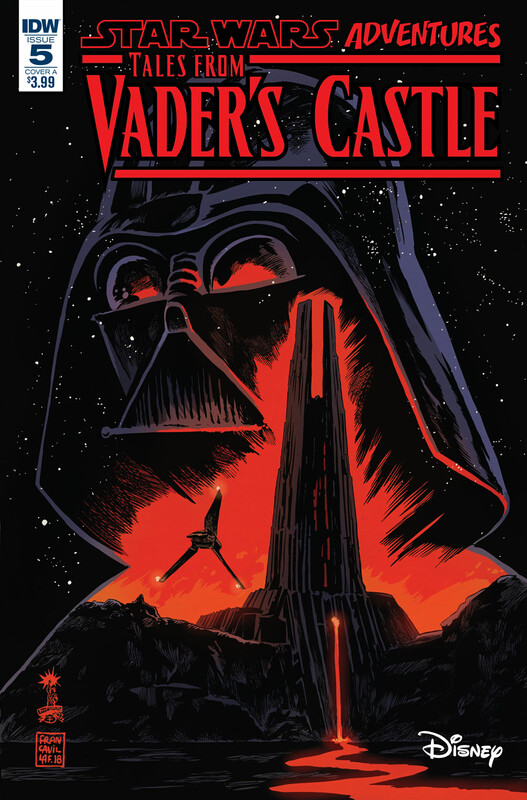 Cavan Scott, author of some of IDW Publishing’s Star Wars Adventures and the recent five-issue miniseries Tales from Vader’s Castle, is using fear to drive the story, jumping from era to era and focusing on how it can affect characters’ motives and determination. Yet fear cannot exist without hope, he says. Still, there is a balance to be maintained, too. For Scott, it provides a fulcrum on which to use differing levels of fear to tell a story that adults will find creepy and unsettling, yet without sending kids screaming from the room. Much like Star Wars, where humor and being scared are often present together. Ultimately, fear can be both an ally and enemy, in our everyday lives and in a galaxy far far away. Matt Moore is a writer and editor and co-creator/co-host of Comics With Kenobi, a weekly podcast detailing and discussing contemporary Star Wars comics from Marvel and IDW Publishing and their role in advancing the Star Wars saga.